These class lists are effective with the first August 2018 Qualifier. See Show Dates & Judges for more information. 1. You can pay using Paypal for your show fees to mepsa3@att.net, but you MUST use the Family or Friends option. Remember to have some form of approved e-mail sent to the show's judge so they know you have paid. 2. You may request show coupons from the Treasurer, Carolyn Bailey. Send one check or paypal payment and receive coupons for show entry! You may receive your coupons electronically or by mail. Each will have a serial number so they can only be used one time. Simply enclose the value needed in place of cash or check in your entry. For example: for 100 halter photos, enclose two $2 coupons. No more cash in the mail, no more check fees – entering shows just got easier! 3. Make any checks payable to the judge. Mail-in entries only. Printed digital photos (with only cropping and color corrections made; no items added, changed or deleted) and preferably 4X6 in size, may be entered. Online/emailed entries are not accepted. Please mark each photo with the appropriate division letter, the class number(s), the model’s name, breed, gender and color, and your 5 letter code (1st two letters of your first name, 1st three letters of your last name). Collectability or Workmanship information is strongly encouraged. In Performance, please have a description of the entry, including any pattern or movement. A list of Current Breyers and a Breed Directory, indicating which class a specific breed is recommended to enter, are located on the website. Mixed breeds may enter whichever mixed class the owner feels is best for their model. One photo per class unless otherwise noted on class list. Classes with over 50 entries may be split at judge’s discretion. Models that place 1st, 2nd, or 3rd (1st-6th in classes of 100 or more) qualify to enter the year-end MEPSA Championship Show! Entrants must keep track of their own qualifiers. SASE with adequate postage required for each show. Full results will be sent to all entrants and posted on the website. Division A - OF Plastic (Breyer, Stone, CollectA, Hartland, Schleich, Safari, etc. including factory customs). Division B - OF China/Resin (Hagen-Renaker, Black Horse Ranch, North Light, Lakeshore, Sandicast, Beswick, Pour Horse, BFA, etc). Division C - Artist Resin/Original Sculpture (resins produced produced in runs, finished by artists, and one-of-a-kind sculptures). Division D - Customs (any factory produced model that has been altered in any way from its original form including custom glaze & claybody customs). Division E - Original Finish Performance. Division F - Custom/Artist Resin Performance. *Light Type: Arabian, Morgan, light type mixes and light mules, etc. *Sport/Carriage Type: Thoroughbred, Warmblood, Gelderlander, Cleveland Bay, sport/carriage type mixes, and sport/carriage mules, etc. *Spanish/Gaited Type: Andalusian, Pasos, American Saddlebred, Tennessee Walker, Spanish/gaited type mixes, and Spanish/gaited mules, etc. *Stock Type: Quarter Horse, Appaloosa, Paint, stock type mixes, and stock mules, etc. *Draft Type: Belgian, Clydesdale, Shire, Gypsy Vanner, Irish Cob, draft type mixes and draft mules, etc. *Pony Type: Shetland, Welsh, Fjord, Miniature horses, pony type mixes and pony mules, etc. Download the new Breed Directory here! 52b. Pinto- Other Pattern (Overo, Splash, Frame, Sabino, etc. Minimal pintos with 5% or less white may show in their base color class). *Light Type: Arabian, Morgan, Thoroughbred, Saddlebred, Andalusian, light type mixes and light mules, etc. *Draft Type: Belgian, Clydesdale, Shire, draft type mixes and draft mules, etc. 131. Arena Liberty - For those wild and flashy horses! Judged on flair, energy and flash! Handlers optional. 132. Other Liberty - For those wild and flashy horses! Judged on flair, energy and flash! NO halters allowed. 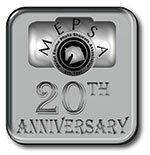 © 1997-2018 MEPSA. Text and images on this site may not be copied, reproduced or used in any other manner without written authorization. Questions about this site should be sent to the webmaster. For general MEPSA or specific program questions, please see our Officers page.